The Washington Renaissance Fair is an amazing event for anyone who enjoys ren faires in general, who likes to dress up, or who wants to get out on a summer day and explore something new. This fair is filled with lots of events and shows to check out, shops and stalls to peruse, and performers to watch. The Washington Midsummer Renaissance Fair, much like other festivals of its type, is filled with people dressed in renaissance clothing, medieval clothing, and often fantastical costumes (fairies, barbarians, ogres). But if you don’t want to dress up, you certainly don’t have to, and depending​ on how hot of a day it is, you may be glad you didn’t! The event is held in August so the days can be very sunny and warm. This is the closest ren faire within driving distance to Tacoma, but there are other festivals you may enjoy if you like a bit of history mixed in with your fun. The highland games and the Tacoma Greek festival are others with a touch of culture. The Washington Ren Faire is the same fair that was formerly located in Purdy if you’re a long-time fan. The fair has bounced around to a location or two in Buckley and Bonney Lake and has settled at one property. Shopping at this fair is one of the best reasons to go, whether you’re looking for a souvenir trinket, some Celtic décor, or a Renaissance-style snack. Food at the fair is simple, but pretty delicious anyway. Expect turkey legs, barbecue, bread and cheese, or buy a pickle to eat while you watch the jousts. You can even find things like brats and beer. Checking out the crafts and artisans is also a very cool thing to do here. Some highly skilled artists make their way to this fair. Watch as a blacksmith forges knives, or a leather worker creates a vest or blade sheath. You can buy everything here from cheap items all the way up to a beautiful and expertly worked bit of chain mail to lovely jewelry. Since this fair also has a fantasy slant to it, you can also find some unusual booths here. A psychic reader or two is usually here, as are tarot readers, palm readers, and other mystical consultants. Events at the Washington Ren Faire change each year, but many return for repeat performances. Final and firm information is on the event’s website in the weeks before the fair opens. 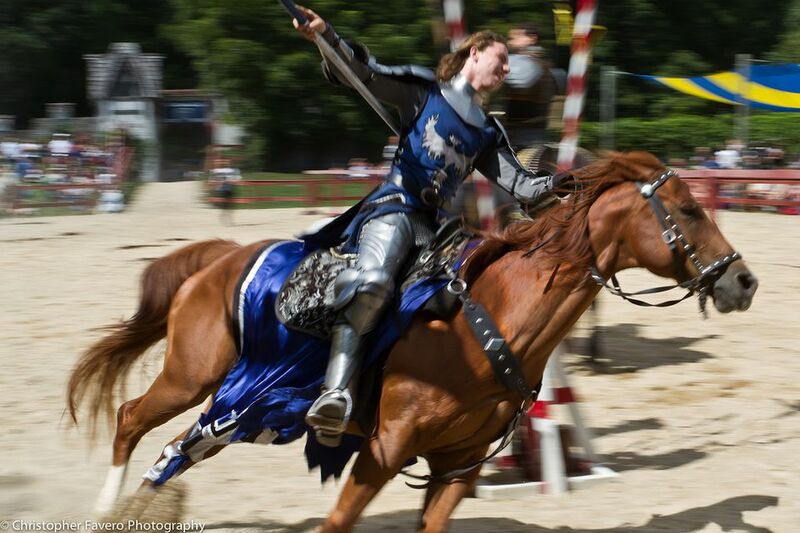 In general, expect jousts (of course), equestrian performers, sword fighters, musicians of all kinds, storytellers, jesters, pirates, and an array of Renaissance characters who often roam the grounds to help make the atmosphere come alive. This fair has even drawn the popular fantasy artist Amy Brown—an artist who draws popular fairies that appear on everything from bookmarks to t-shirts. With its location in Bonney Lake, the Washington Ren Faire offers camping right on the same site as the fair. Getting to the Washington Midsummer Renaissance Fair is a bit of a drive from most parts of Tacoma, but it’s worth it as you will easily be able to spend half a day here, if not a whole day. The drive will take you a half hour from the downtown Tacoma area, and not much more than that from anywhere else in town. From North Tacoma and areas north of 38th Street, get onto I-5 North. Take this to Exit 135 onto WA 167. Take this for about 3 miles and then you will need to make a few small turns to meet up with 167 again. Take a left at 66th Avenue East, a right at N Levee Road E, go 2.3 miles, take a right at Meridian. Take another right to get onto WA 167 N. Follow signs to 410 E toward Sumner/Yakima. Take this for about 6 miles. Turn left at 198th Avenue E and right at Sumner-Buckley Highway E. The fair is on the left. From areas south of 38th, Parkland, Puyallup, and others, it may be quicker and easier to take I-5 to 512 East. 512 leads straight into 167 and then follow the directions above.